Even just a decade ago, we still thought natural gas to be the clean, practical method for powering our homes and businesses. But now the tables have turned dramatically in favor of renewables. The U.S. Energy Information Administration has reported solar energy systems will surpass new capacity for wind, hydro and fossil fuels. 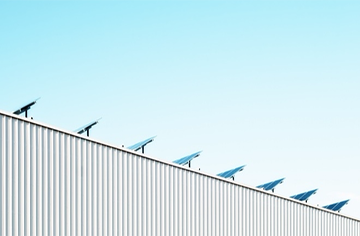 Additionally, another report from the Solar Energy Industries Association (SEIA) and GTM Research predicts that 14.5 gigawatts of solar power will be installed this year—meaning, we’re on track to potentially double the record solar capacity added last year. So what’s behind this big boom? Well, for starters, federal tax credits have played a major role in helping solar power gain traction over the last decade, enabling businesses and homes to take a chance on renewables and get a 30% rebate in the process. The investment tax credits (ITC) were scheduled to expire at the end of 2015, but were renewed at the last minute (a Christmas miracle!) and will likely help solar continue to dominate the energy landscape. IRENA, the Abu Dhabi-based renewables organization is anticipating major growth as well, reporting that during the first quarter of 2016, 64% of the US’ new renewable energy capacity was generated from solar, accounting for 1,665 Mw of solar PV. Building on that, Bloomberg New Energy Finance (BNEF) is forecasting a rise in solar power generation, predicting plants using solar PV technology will make up roughly 15% of electric power generation globally by the year 2040. And the love of solar extends well beyond US borders. Among those BNEF deems the most “attractive” global markets in the solar game are Brazil, Chile, Turkey, the Philippines, Mexico, Israel, Jordan, South Africa, Russia, and Saudi Arabia. Capacity worldwide could skyrocket to as much as whopping 2,500 gigawatts by 2030, which is significant when you take a look at where we were at just a year ago—a relatively paltry 227 gigawatts. So as it stands, solar is poised to grow exponentially—we now have more sophisticated power networks (smart grids) in place, which can deliver electricity generated from a variety of sources. Solar panels are now being manufactured, whereas not long ago, they were still being put together by hand. Costs are falling, and expectations are starting to lean much more green than they have in recent memory.